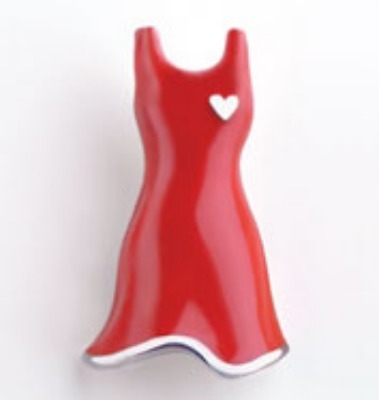 Request your Free Red Dress Pin, a symbol of your support for the fight against heart disease! The offer for the pin is located at the bottom of their page. Simply click “get pin” and join. You will then see the Free pin offer. You may need to allow pop-ups to see the form. Just fill out your address and it takes about 4-6 weeks to be received. Your pin will arrive in 4 - 6 weeks. Thanks so much for supporting the cause!